Home » Incometax » How your Family can Help you to Save Taxes? Tax planning is an important exercise to reduce tax liability by making maximum use of available deduction and sections. It is generally seen that when it comes to saving taxes most of the people make maximum use of section 80C limit. However, there are multiple other sections and laws which can help you to save more taxes. You can even take help of your family members to save taxes. Your children, parents, and wife can help you to save more tax. In this post, we will look at various section and laws which can help you to save more taxes with the help of your family members. How your parents can help you to save taxes? The first way of saving tax with the help of your parents is investing your money on your parent’s name. The suggested steps are given below. The first step is gifting your money to your parents. The money given to your parents will not attract any tax in their hands. Invest this money on your parent’s name. Make sure that your parents are in a lower tax slab than yours. Let’s try to understand the above case with one example. Suppose you gift 2 Lakh to your parents as a gift and this amount is invested by your parents in fixed deposit. The fixed deposit will give 8-9% returns. The interest amount earned on this FD will be taxable on the hand of your parents. However, as your parents are in a lower tax slab, you will be able to save more tax. If your parents are senior citizens, they can avail additional tax benefits applicable to senior citizen. The second method of saving tax by taking help of your parents is buying a health insurance policy for your parents. Under section 80 D of Income-tax you can avail deduction up to Rs.25000 for the premium paid on the health insurance policy. This deduction can go up to Rs.50000, if your parents are senior citizens. This deduction is irrespective of your parents is dependent upon you or not. If you are salaried and staying with your parents in the house owned by them, you can pay rent to your parents and avail HRA exemption benefit. The amount paid by you to your parents will be taxable in the hand of your parents. In case your parents have no income, the entire amount will be tax-free in their hands. How your wife can help you to save taxes? If you are in higher tax bracket compared to your wife or if your wife is a homemaker (Non-earning) you can gift some money to her and invest that money in the various instrument. There is no upper limit on the money you can gift to your wife. The gifted money can be invested in various income generating instrument such as fixed deposit, PPF, ELSS, Mutual Funds etc. If you invest in a tax-free instrument such as PPF, no tax shall be applicable on interest earned. However, if you invest in taxable investment option, a tax will be applicable as per the tax slab. Another way to save tax is by giving a certain amount as a loan to your wife. In this method, you need to show that your wife is paying back money to you with some nominal interest. You can also save rental income with help of your Wife. Suppose, you are owning a second property which is given on the rent. In this case, you need to declare rental income and pay taxes accordingly. For saving tax on the rental income, you can transfer the property on your wife’s name. You need to show an exchange of your wife’s jewelry (worth the value of a property) or some asset of equivalent value in your favor. Rent received from the second property will be taxable on your wife’s name. How your Children can help you to save taxes? As per income tax rule, an adult with age above 18 years is considered as an independent entity. The income earned by an adult child is not clubbed with their parents. So, if your adult child does not have any income, you can invest money on his/her name and save tax. Before investing money in the name of your adult children, you should assess his/her behavioral and legal aspect. As money is put on their name, they are the legal owner of the money. They may refuse to return the money at a later stage or may liquidate the same. You can also invest money in the name of Minor Child. However, income arising from such investment is clubbed with parent’s income. Parents can claim an exemption of Rs.1500/- for each minor child whose income is clubbed. As per income tax rule, you can claim exemption up to 1 Lakh on the tuition fee for maximum two children in a financial year. This deduction is provided for full-time course only. Only amount mention as tuition fee in the receipt can be considered for exemption. Other expenses such as hostel charges, development fee, library fee etc. are not considered for the exemption. Do you use any of the mentioned section/law for saving taxes? 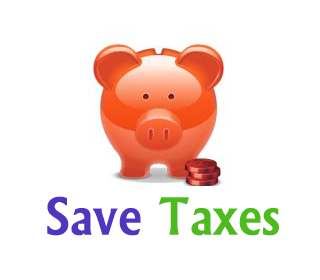 If I have missed any method for saving tax do share it in the comment section given below. Great Info Raviraj!! Good insight on tax saving within legal quotes.